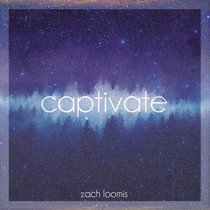 :Captivate, the debut album from recording artist Zach Loomis with Influence Music and Journey Creative, presents 12 original songs filled with his thoughts on God, faith, and the in-between. Zach has crafted an album that invites listeners to explore the depths of God through lyrical insight, contemplative melodies, and a fresh sound. Each track provides space for the listener to explore their own unique path as Zach shares his personal longing to be captivated by the presence of God. Music has always been an important passion to North Carolina-born Zach Loomis. "Songwriting has always been my passion. When I'm able to take an idea that doesn't exist, translate it into a sensible thought (most of the time), then a tangible song that people can connect and relate to - man, there's nothing better than that for me."